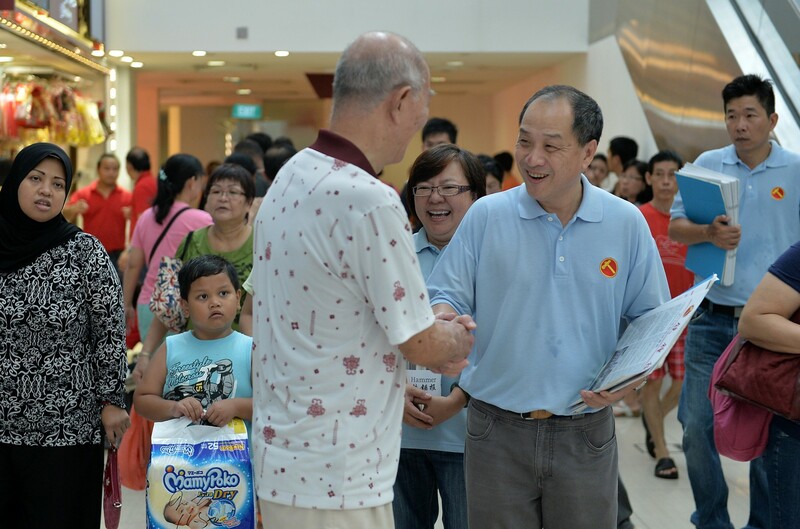 ESM Goh Chok Tong at the opening of photo exhibition The History of Marine Parade. 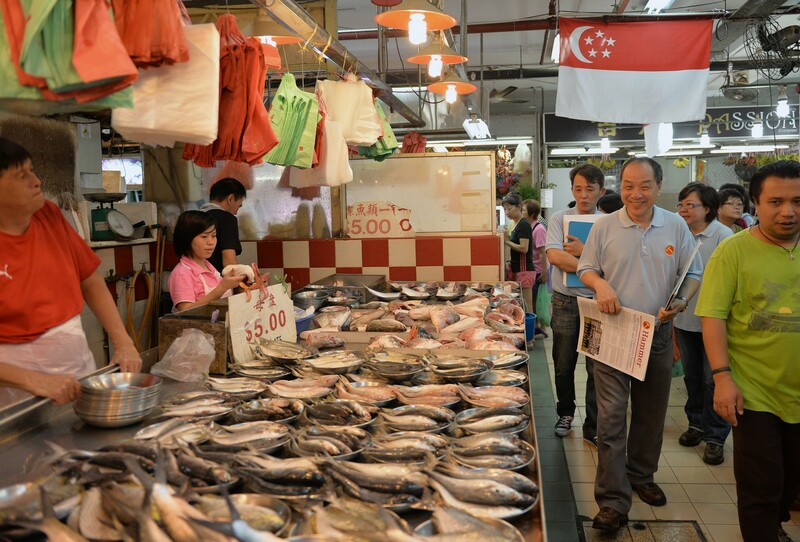 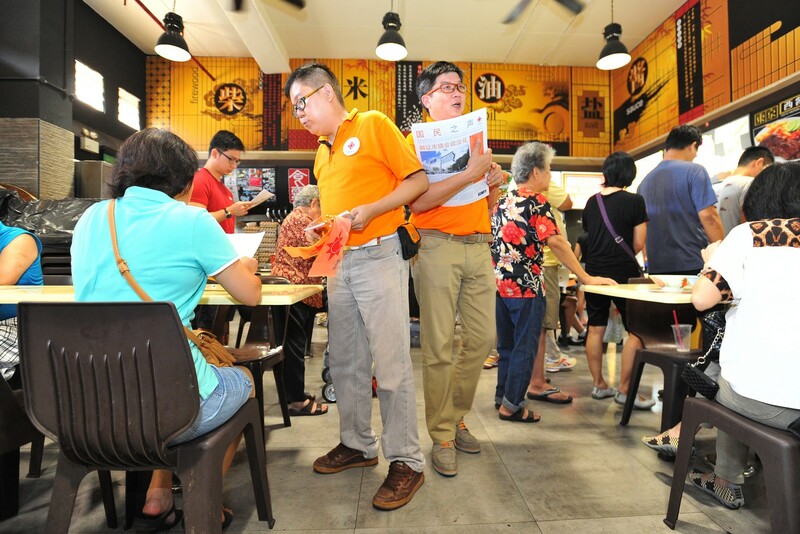 Political parties have shed more light on their plans in Marine Parade for the upcoming general election. 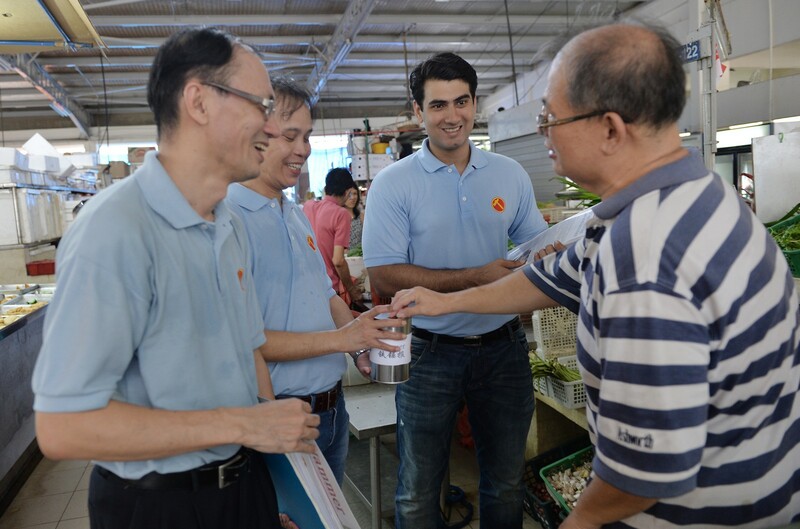 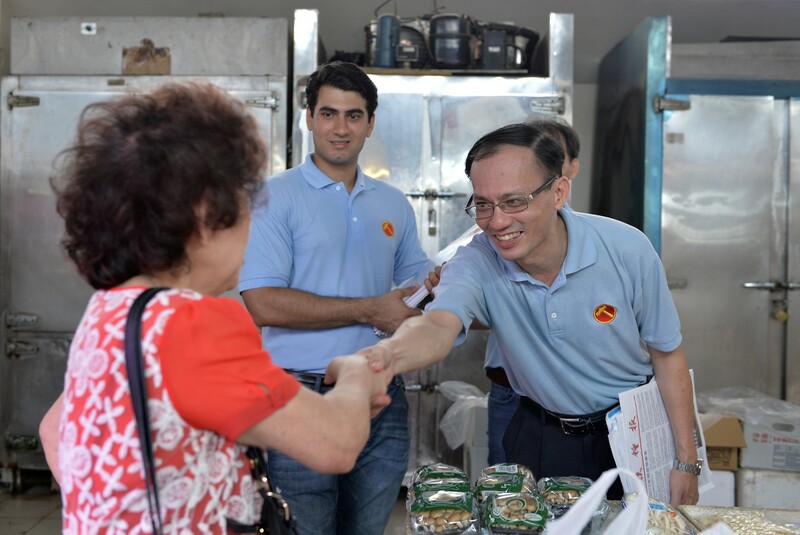 Marine Parade GRC MP Tan Chuan-Jin said yesterday that Emeritus Senior Minister Goh Chok Tong is "still very healthy", and the Group Representation Constituency's MPs hope he will remain part of the team. 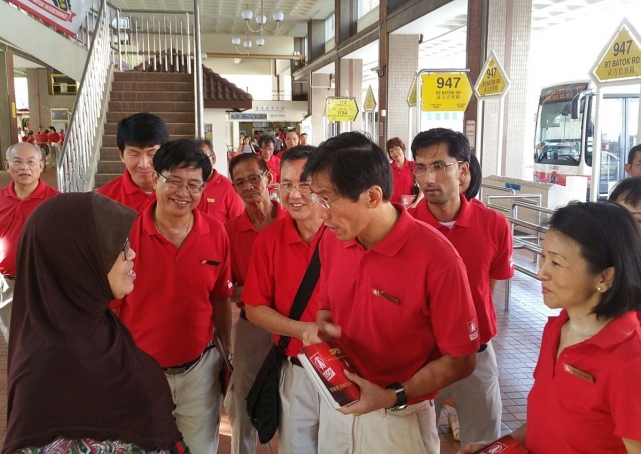 The People's Action Party (PAP) MP was replying in Mandarin to a reporter who asked if Mr Goh, who entered politics in 1976, was likely to remain part of the team. 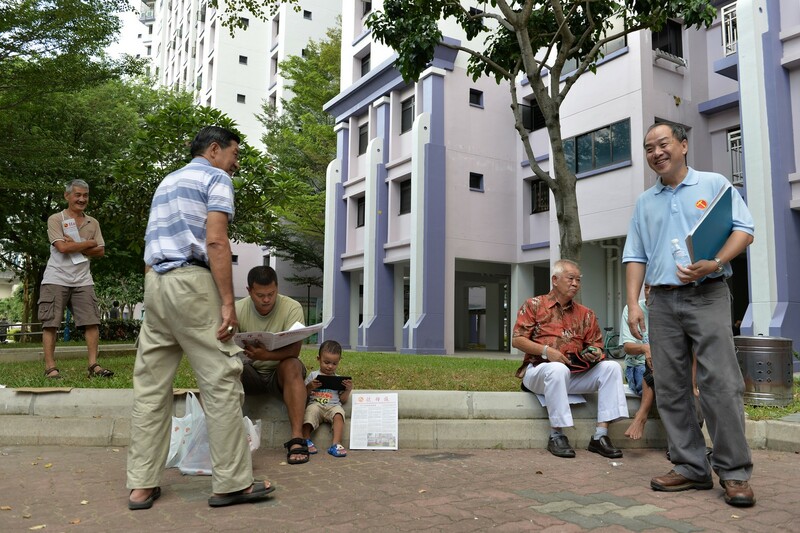 Mr Tan, who is Minister for Social and Family Development, was on a walkabout in the GRC's Braddell Heights ward with the MP and grassroots adviser for the area, Seah Kian Peng. 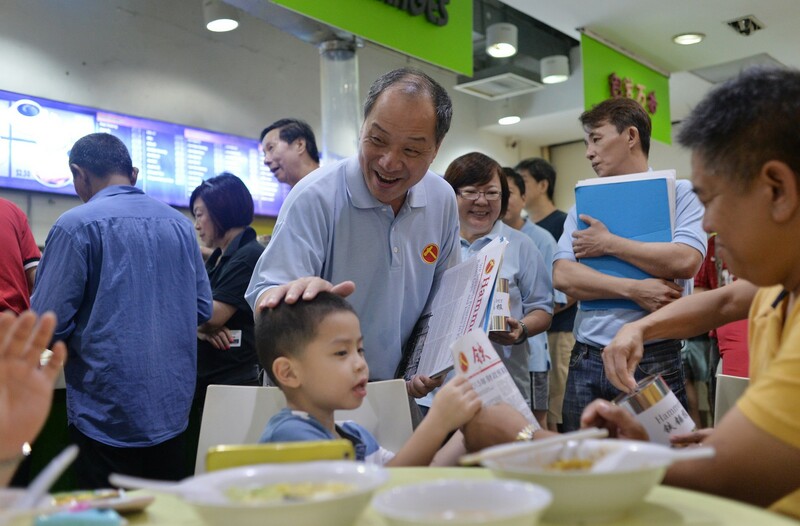 Asked whether he and Mr Seah would be running in Marine Parade, or whether there would be any changes to the PAP's slate there, he would only say that the formal announcements would be made in due course. 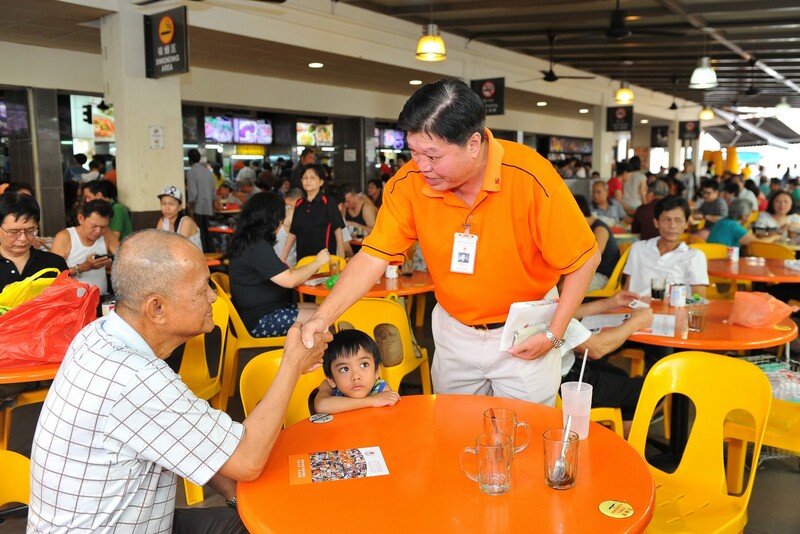 Mr Tan said both he and Mr Seah would be "very happy" to remain in their respective wards of Kembangan-Chai Chee and Braddell Heights. 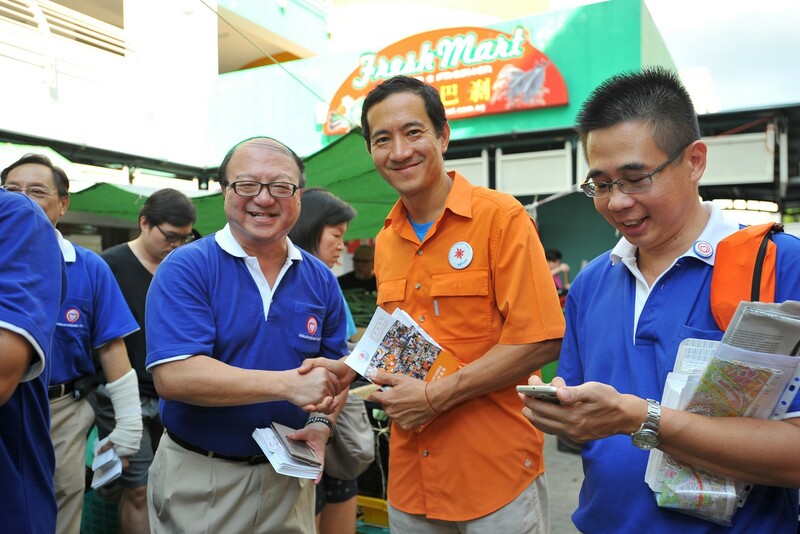 MacPherson, which is under the care of first-term MP Tin Pei Ling, has been carved out of the GRC as a single-member constituency. 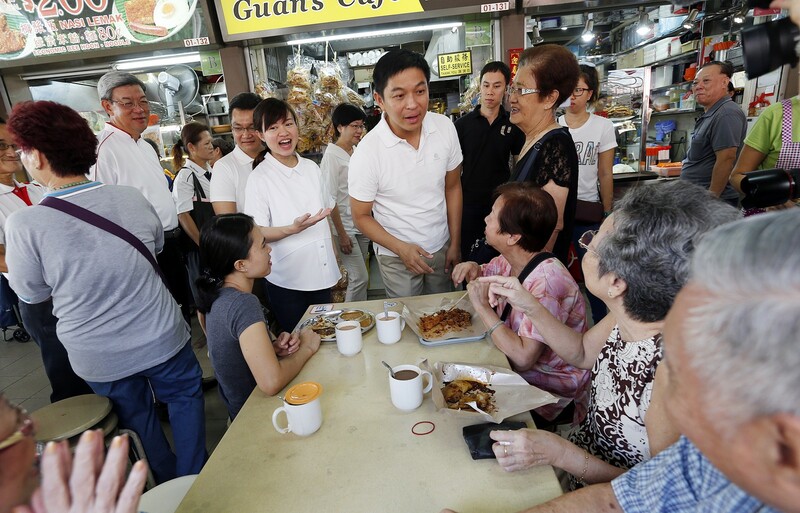 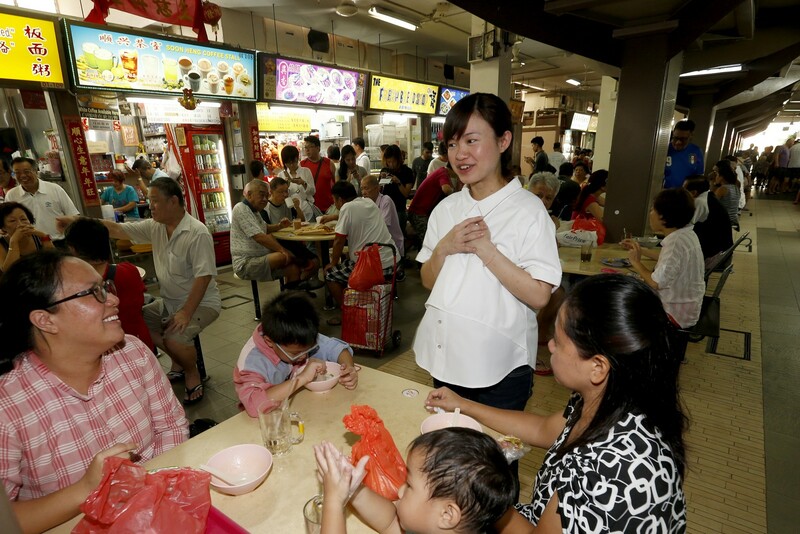 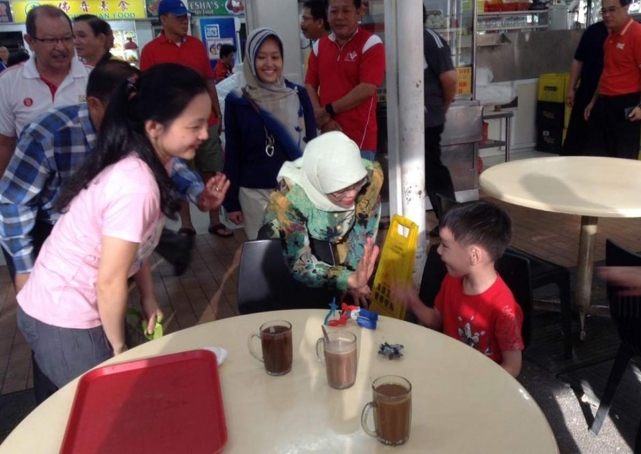 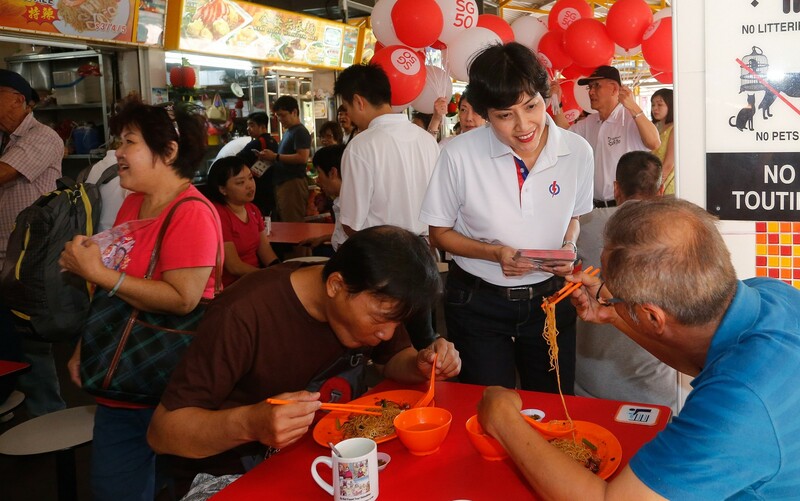 Ms Tin, 31, was widely compared with National Solidarity Party's (NSP's) star candidate of the 2011 election, Nicole Seah, due to their comparable age. 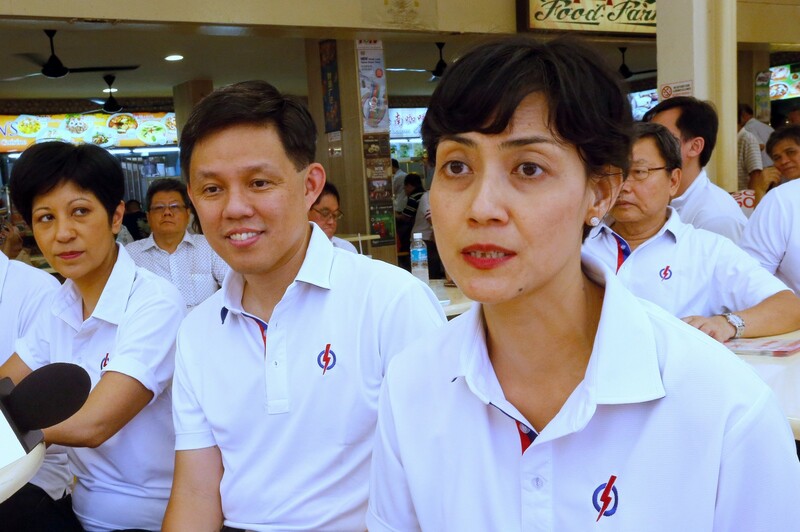 Ms Seah was part of NSP's team that contested in Marine Parade GRC in the last election. 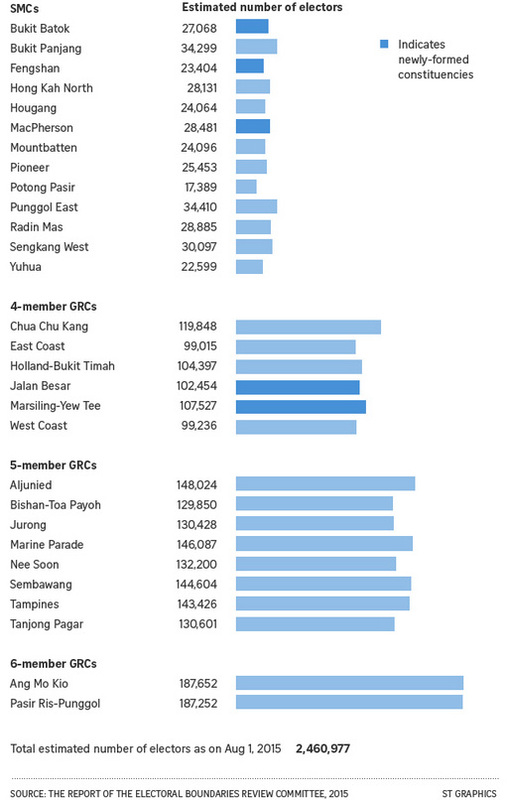 She left NSP in 2013. 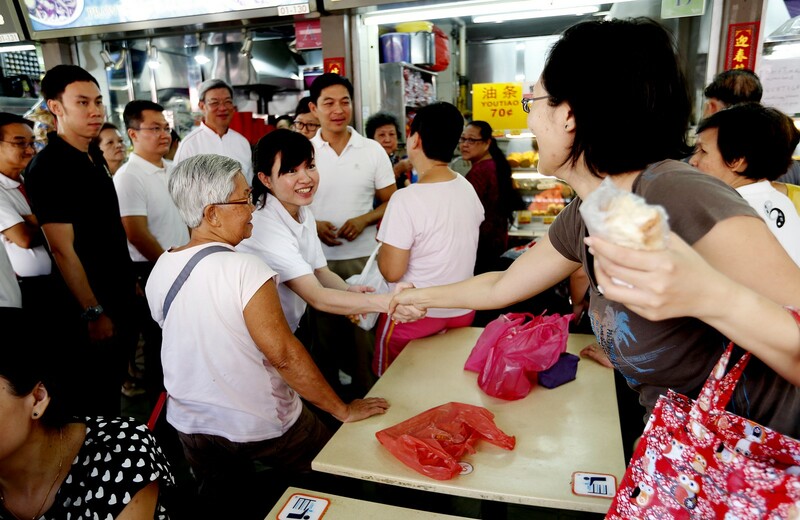 But Ms Seah, 28, said yesterday that she is not rejoining the party and will not stand for election. 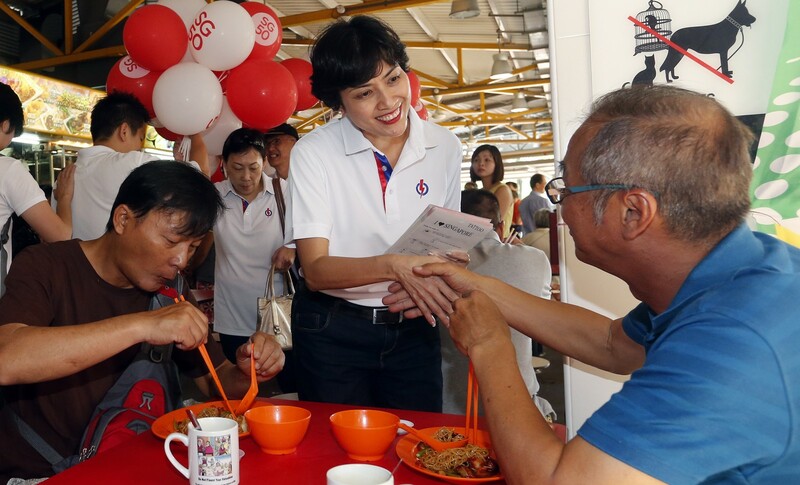 She was replying to queries from The Straits Times, following comments from NSP acting secretary-general Hazel Poa that the party had "initiated contact" with Ms Seah via WhatsApp. 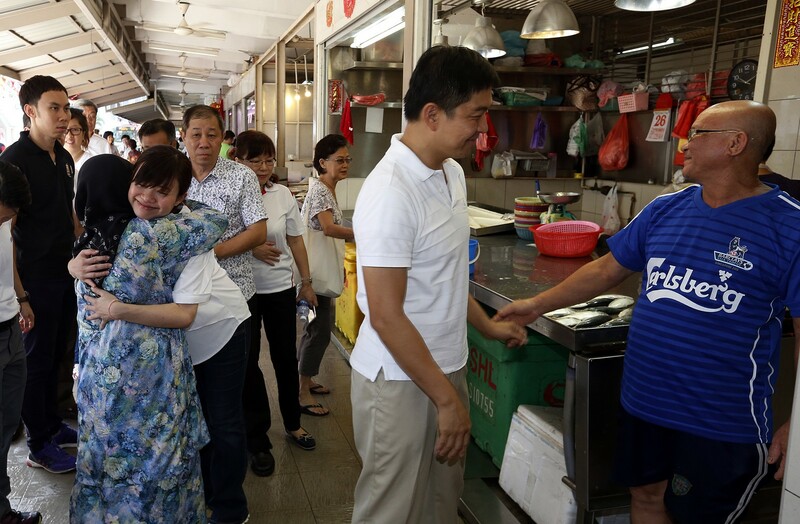 Ms Seah told The Straits Times: "I didn't receive any message on WhatsApp from NSP. 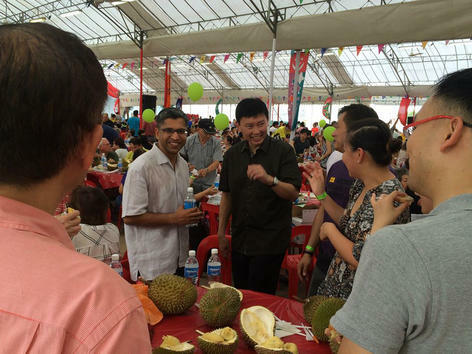 Perhaps they messaged my Singapore number which is not in use. 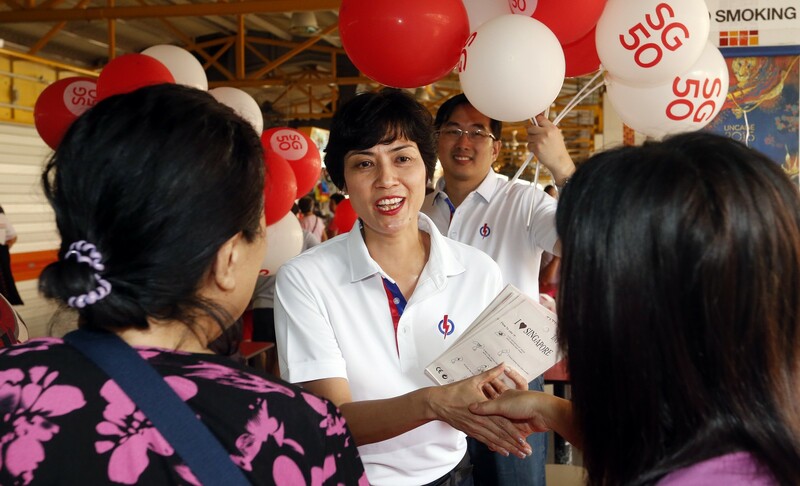 "I'm not rejoining NSP and will not be running for elections this time," she said, adding that she has been in touch with NSP on Facebook. 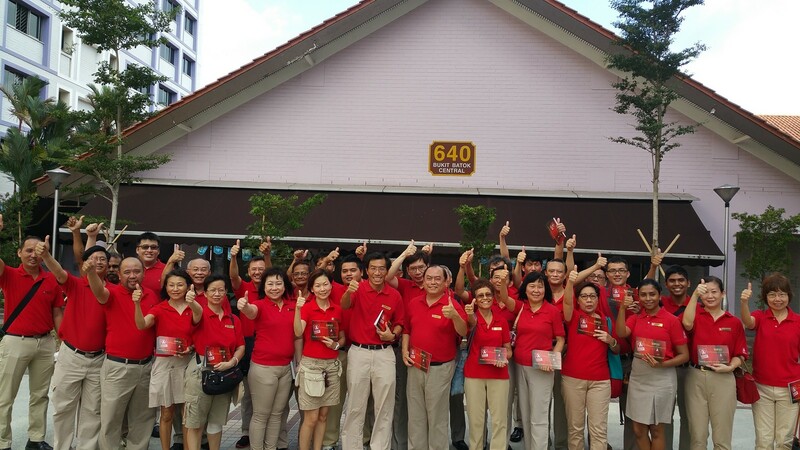 NSP has stated its intention to contest Marine Parade GRC and MacPherson SMC, but so has the Workers' Party (WP). 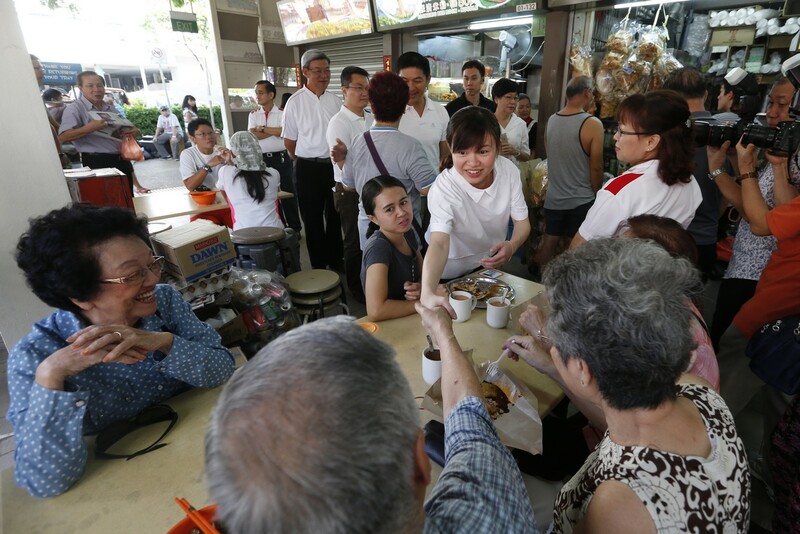 WP chairman Sylvia Lim said she will be meeting representatives from other opposition parties for talks, to try and avoid three-cornered fights at the next election. 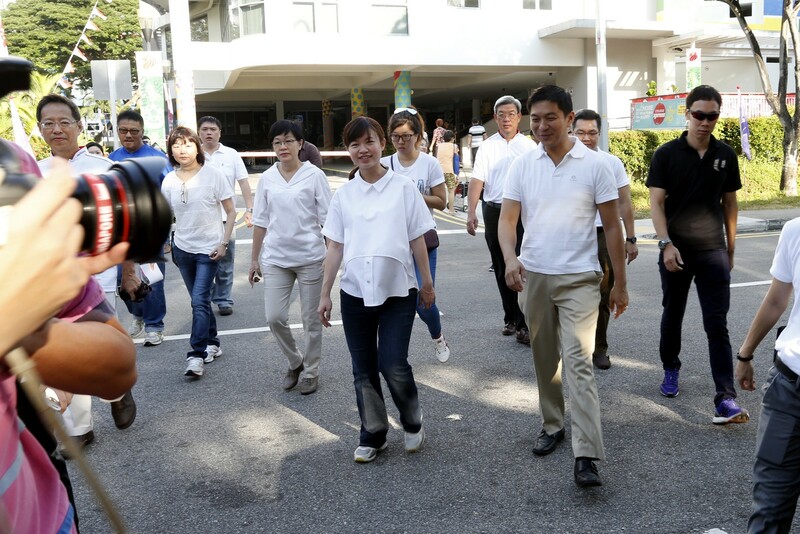 Her party has already initiated discussions with NSP about the possible clash at Marine Parade GRC and MacPherson SMC. 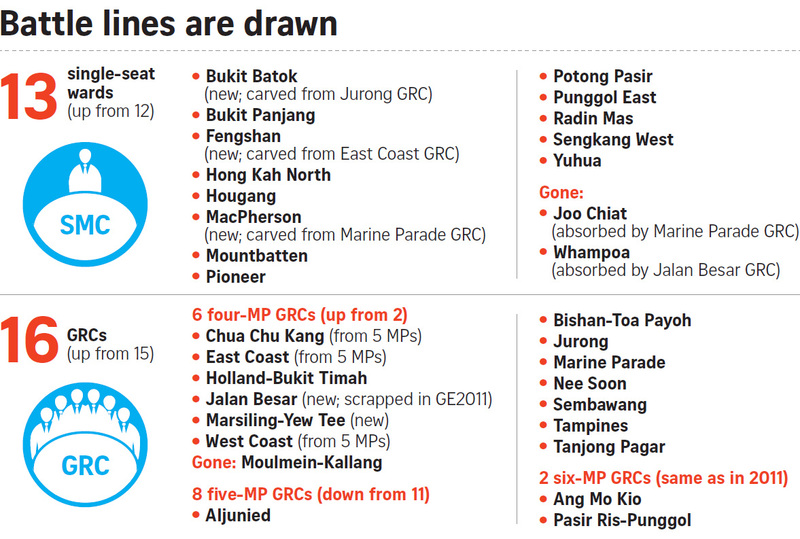 This comes ahead of a meeting between all the opposition parties scheduled for this evening. 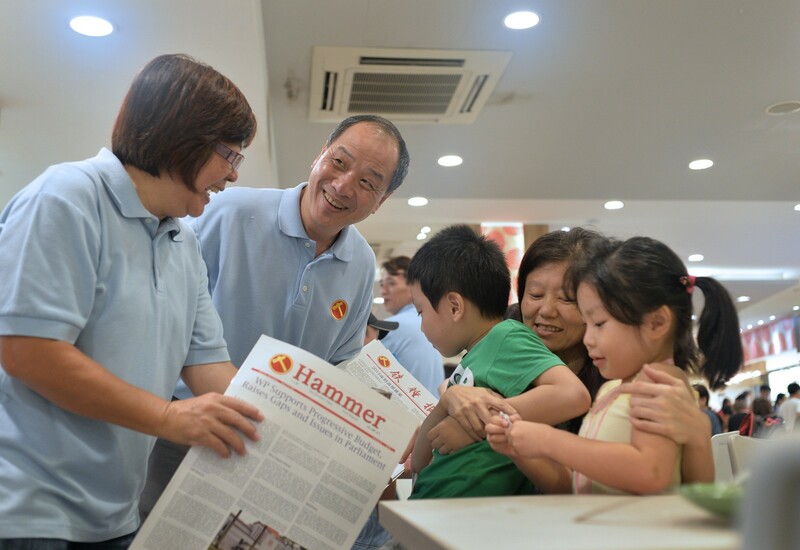 Ms Lim was speaking to reporters yesterday, after the WP sold its Party newsletter the Hammer in Fengshan and then in Bedok Central, which is in East Coast GRC. 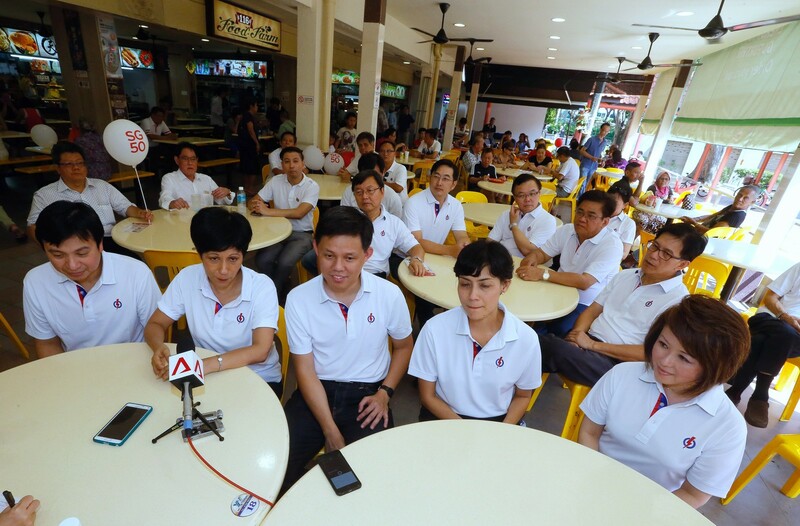 Ms Lim told reporters that the formal introduction of the party's 28 candidates will likely take place after National Day. 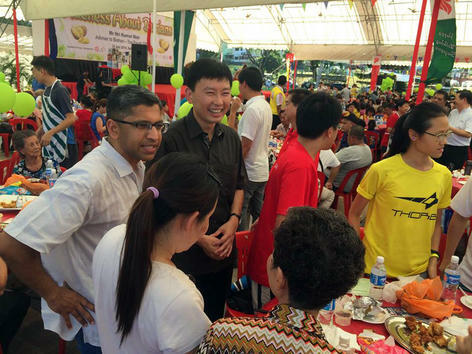 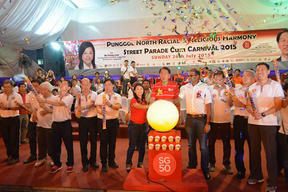 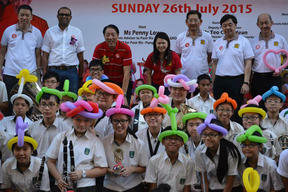 The PAP has also said that it will introduce its new candidates after the National Day weekend. 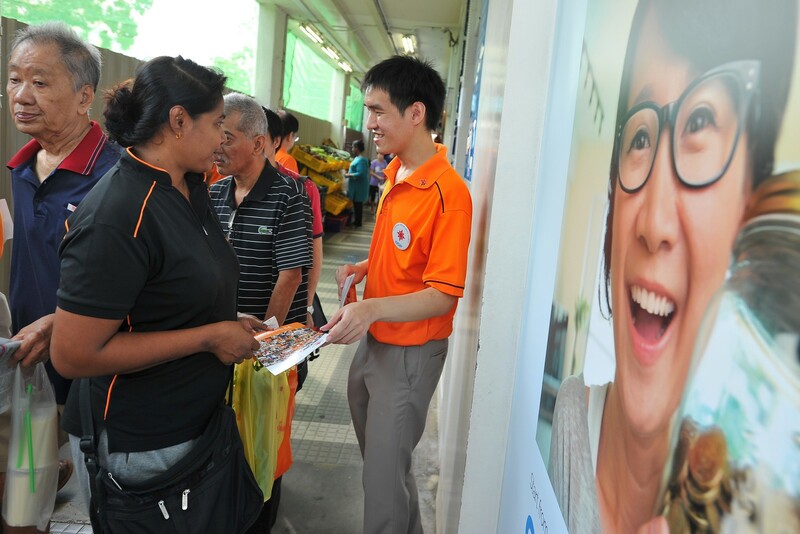 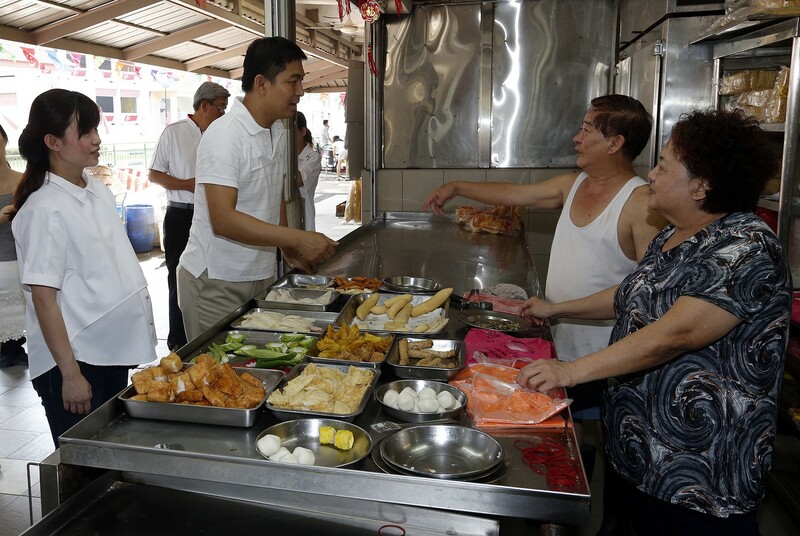 Meanwhile, PAP's organising secretary Ng Eng Hen said that the party's candidates must have the non-negotiable quality of being able to take care of residents' needs. 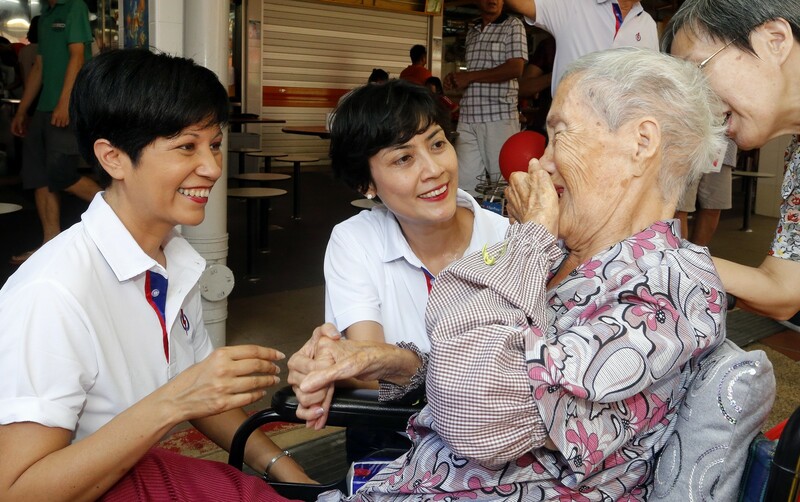 "Our priority is to make sure that the candidates we put up... have a quality that cannot be negotiable: If you cannot take care of your residents' needs, even if you're minister potential, we're not going to field you. 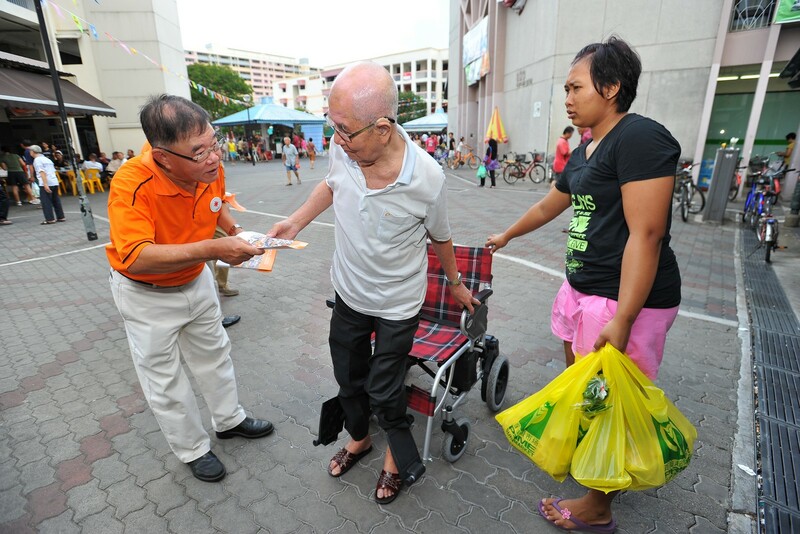 It's as simple as that," said Dr Ng, who is also Defence Minister. 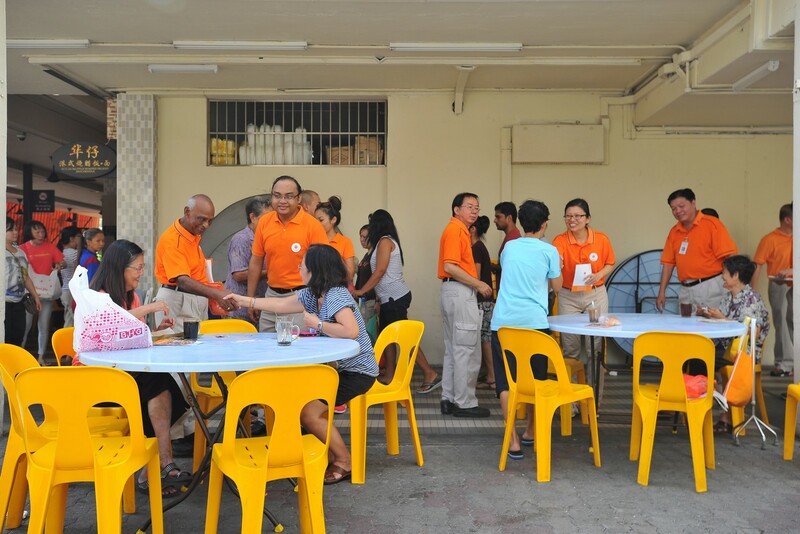 The Bishan-Toa Payoh GRC MP added: "Our first priority is and should be: Can this person we're putting up for election care for residents' needs? 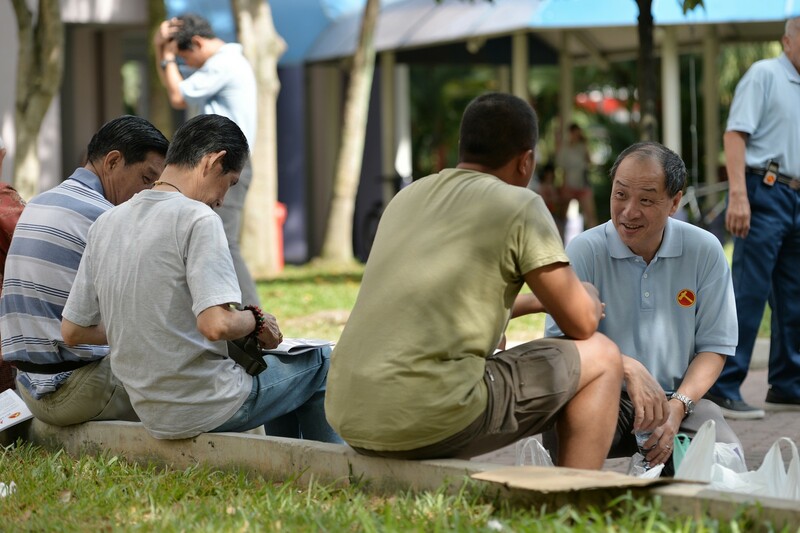 Bond the community, identify and empathise with them?"